When German new wave band Trio broke up in 1985, the movement had long since lost the impact and vitality it had in the early '80s. The group's leader, Stephan Remmler, began work on a solo effort shortly afterwards, and despite the fact that German-language pop music was disappearing from the charts again, he managed to score two massive hits with his self-titled 1986 album: its first single, "Keine Sterne in Athen" ("No Stars in Athens") is a catchy and witty little tune that sounds like a perfect transition from Trio's minimalistic mew wave punk to Remmler's new musical direction, a somewhat ironic fusion of the German Schlager -- the kitschy, simplistic pop music of earlier generations -- and modern pop. The album's other hit single, "Alles hat ein Ende (Nur die Wurst hat zwei)" ("Everything Has an End [Only a Sausage Has Two]"), even became a staple of the German carnival, getting played over and over again in the alcohol-induced cheeriness of the beer tents. Musically, Remmler's writing has always been seeking simplicity -- short, repetitive riffs and basic rhythms, concise lyrics and catchy melodies -- so his departure from the new wave punk of his former group isn't as radical as it might seem at first listen. 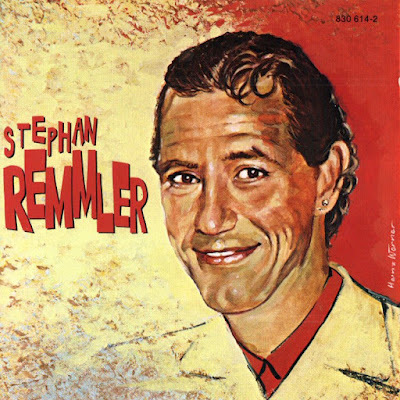 Remmler is still writing songs with the same characteristics, but he explores other genres this time around -- genres which embrace simplicity, and which have always been sneered at by critics and "serious" music listeners alike: Schlager, children's songs, marching band music, Volksmusik (a special form of the schlager which emphasizes tradition and employs German folk music elements). What largely keeps the album from getting caught in the trappings of these genres is the tad bit of irony Remmler lets shine through on most of the songs. His dry, laconic delivery (imagine Leonard Cohen telling silly jokes) and his slightly tongue-in-cheek lyrics about relationships -- typically about the end of them -- create enough of a distance to make the excursion interesting. It doesn't always work, however: "Vogel der Nacht" ("Bird of the Night") doesn't toy with the Schlager, it simply is one, with its faux-exotic percussion and its trite lyrical kitsch. "Ja hast denn du mein Brief net kriegt" ("Didn't You Get My Letter?") is just plain silly, with Remmler's fake Bavarian dialect. Throughout the record, Remmler's flirtations with the abovementioned genres create variety. "Unter einer kleinen Decke in der Nacht" ("Under a Small Blanket in the Night") is a children's song with an actual children's choir singing the chorus, "Lass mich einmal noch wieder bei dir sein" ("Let Me Be with You One More Time") employs a marching band with a men's choir. "Stell dir vor es geht das Licht aus" is a charming little waltz (with backing vocals by Inga Humpe). "Alles hat ein Ende (Nur die Wurst hat zwei)" even uses the Vienna police orchestra and choir in its chorus! 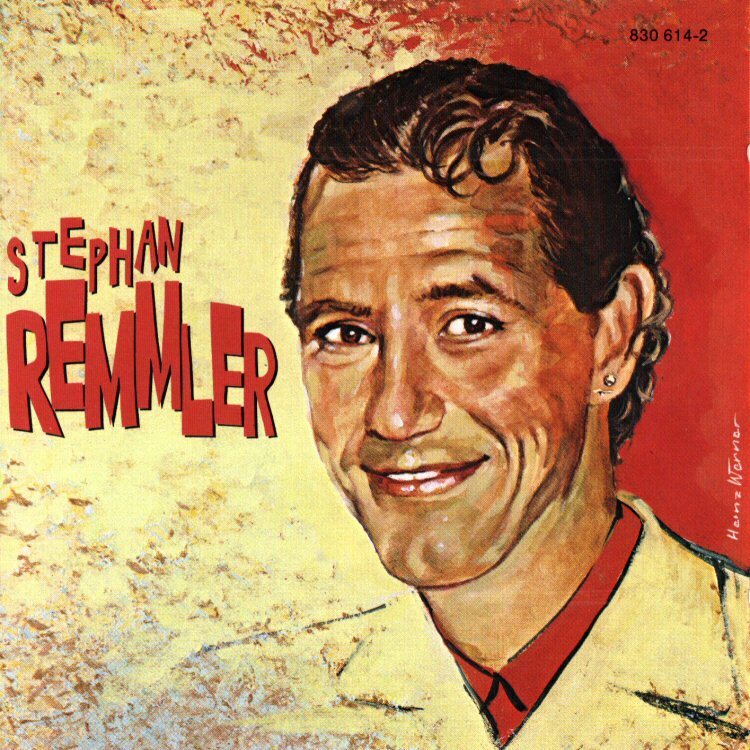 Your enjoyment of Remmler's first solo album will largely depend on your tolerance of simple Schlager songs. If the idea of a hefty men's choir singing the chorus to a marching band song makes you cringe, it is advisable to entirely stay away from this album. Still, "Keine Sterne in Athen" (co-produced by Trio's producer Klaus Voormann) is witty enough to draw the listener in, and the other songs are curious enough to make the album an interesting, if not entirely satisfying experience.